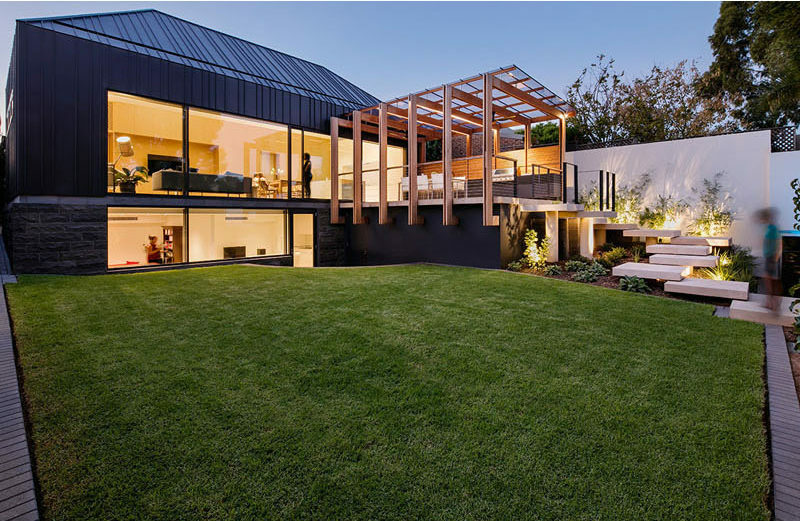 As part of an extension for a home in Adelaide, Australia, architecture firm Glasshouse designed a family friendly backyard space with a number of design details that make it uniquely stylish and perfect for entertaining. 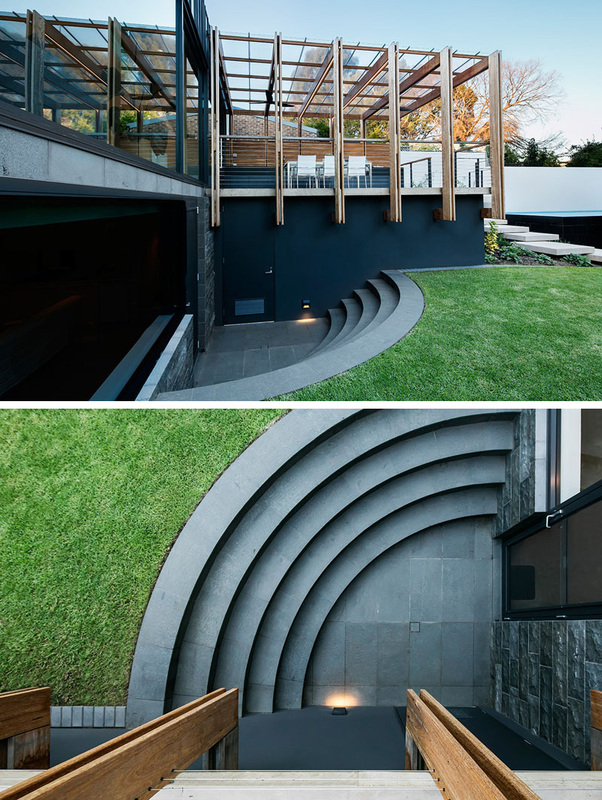 Tucked right up to the side of the house, curved stone steps lead from the lower level of the home to the backyard. 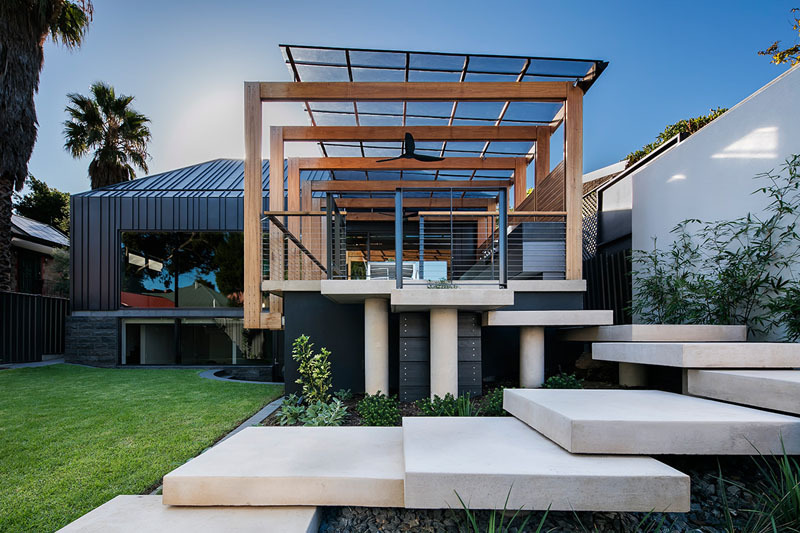 The location of the steps prevents them from being a hazard when the kids are playing and the way they curve into the side of the home makes them a unique design detail. 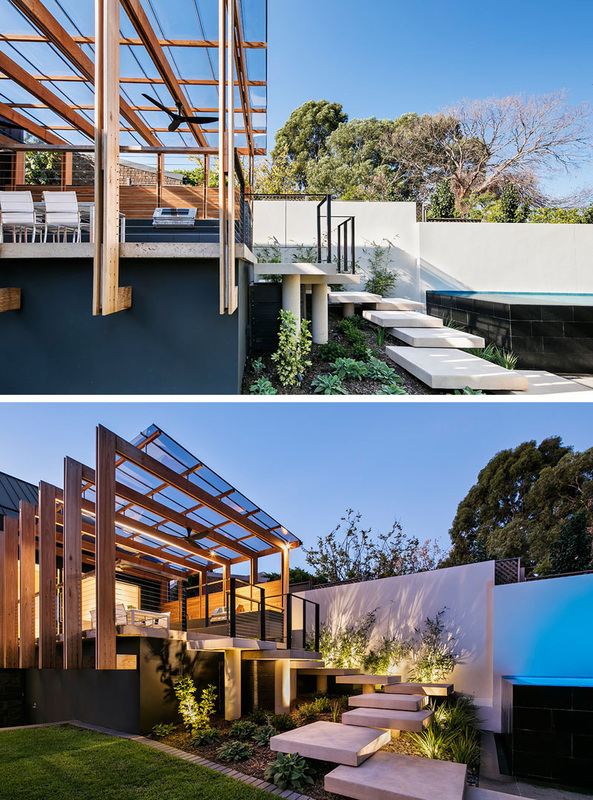 The timber fins that create the pergola and surround the deck offer both light and shelter. The glass roof sitting on top of the wood fins protects furniture and people from getting wet should it start to rain and the design of the fins includes LED strips built into them to create a soft light for the outdoor space. Oversized concrete steps take you from the deck down to the rest of the yard and lead to the above ground pool. Uplighting in the garden around the steps illuminates the path and makes it easy to see where you’re going. Rather than have the pool take up the entirety of the yard, the above ground infinity pool sits in the corner of the yard to keep the space multi-functional. A small staircase leads up to the pool deck where walls on both sides offer extra privacy and reflect the light coming from inside the pool to brighten the space without actual external lights.